Julie H. asks: Why did lead used to be added to paint? The use of lead in everyday objects dates back to the ancient Romans. They used lead in makeup, as an additive in food and wine, in pewter dinnerware, and many other items, including paint. The inexpensive metal was even used in the pipes that transported water throughout the Roman Empire. Lead continued to be used throughout history and into modern day. So it was no surprise that no one thought twice about adding lead to paint. But why did manufacturers add the heavy metal to paint? What purpose did it serve? Different lead compounds are added to the paint as a pigment, creating a specific color depending on whichever compound is used. 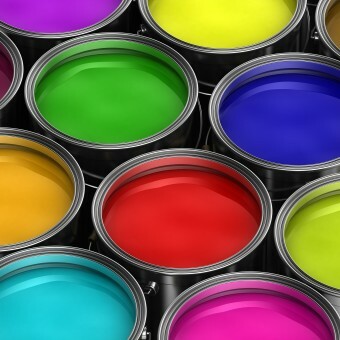 For example, lead (II) carbonate, known as white lead, makes the paint a white or cream color and the use of lead tetroxide makes a bright red paint. The heavy metal additive also decreases the amount of time that the paint takes to dry, makes the paint more durable, and causes the paint to be more moisture resistant. This made lead-based paint ideal for use in homes, on metal exposed to the elements, and even children’s toys. Of course, despite the durability of lead-based paints, they still have that little flaw of, well, containing lead. Exposure to the heavy metal can cause numerous health problems. High levels of lead present in the body can lead to convulsions, coma, and death, while lower levels of the metal can have harmful effects on the nervous system, brain, blood cells, and kidneys. Infants and children are most the susceptible to lead poisoning and may suffer from physical and mental development, behavior problems, and lower IQ levels. Due to all this, the U.S. government banned the use of most leaded paints in 1978. However, it can still be used in houses, but the government requires that the lead content be less than 90 parts per million. As such, today the major source of exposure to lead paint and lead dust in the United States continues to be homes built before 1978. Lead-based paint was popular before that time, and thus was used in the construction of numerous homes. The EPA does note that lead paint that appears intact is not necessarily harmful. It can only produce dangerous lead dust if the paint has been damaged, such as if it is peeling, being rubbed, or during renovations. Despite the regulations on the use of lead paint in the United States, Mattel’s recall of toys containing lead paint in 2007 showed that not all countries enforce the same standards. Some Chinese manufacturers of children’s toys admitted to using lead-based paints, claiming that they knew other companies that did the same. They also stated that sometimes the lead-based paint was cheaper to purchase, easier to apply, and had a richer color than other paints. Paint manufacturer Sherwin-Williams Co. may have known about the dangers of lead-based paint as early as 1900. A company memo from 1900 noted that “any paint is poisonous in proportion to the percentage of lead contained in it.” Despite that acknowledgement inside the company, Sherwin-Williams continued to advertise lead as a necessary ingredient in paint. Why use lead in paint? Lead is a large part of the reason Rome fell. It has been cited as the reason Roman Emperors often went mad. I was told (by a painter) that lead paint is still used for outdoor industrial purposes (e.g. painting bridges) because it is much more weather resistant and there’s no danger of people ingesting paint chips from bridges. What!? I chew on bridge abutments all the time! I had no idea it was bad for me! Yeah, makes a ton of sense. But, what about the painters who have to deal with lead based paint in a liquid form? If they get it on their skin (which will happen) the lead can still get into their blood… Not good. My research has found that lead, regardless of its form, is not soluble in the human body, therefore is harmless. Seriously, where r all the fishermen & tire shop guys with lead poisoning? They handle it daily. Guys who make there own bullets outta b piling up by now…but the biggest red flag i see is that ALL electronics r made with what? LEAD SOLDER! but the measly amt in paint is dangerous? The ONLY way 2 get lead poisoning is by being shot. “They” wanted it out of paint simply cuz it blocks the bombardment of signals & waves from nearby towers being used 2 keep all the sheep asleep. Pleeze research it urself. Getting shot isn’t the only way to get lead poisoning at all. Lead poisoning isn’t caused by handling lead with exposed skin; the danger is in ingestion of the lead particulate matter. Lead in paint can pose a huge health risk when the lead paint has chipped and cracked in older, unrenovated buildings. Lead in gasoline fumes is linked to higher incidences of lead being present in the bloodstreams of local populations. Perhaps you need to continue conducting your research.